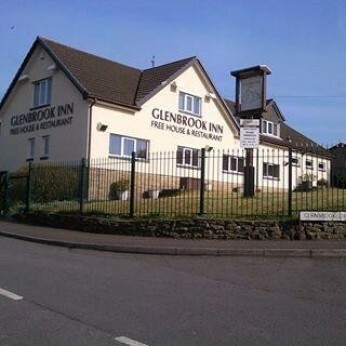 Quite simply put: The Glenbrook is proud to offer both new customers and local regulars exceptional food and drink every day. We use locally sourced suppliers who supply fresh ingredients that are produced to order. Our menus include great value seasonal lunch and evening meals, a selection of mouth watering home made desserts and our highly endorsed Sunday Lunches. Our menus have something for everyone. Whether it be a hearty bar snack or restaurant food which include pub classics through to continental cuisine. Inside, the main bar houses large plasma screen TV's which provide uninterrupted panoramic viewing with full Sky Sports and ESPN Sports coverage. There are also LCD TV's on the bar so you won't miss a thing when you order your drinks. Additionally, we host popular weekly Quiz , fund-raising events, skittles/dart competitions and Bingo. The Glenbrook Inn also has regular darts, skittles and three football teams. As well as the all the above, we also provide free WIFI Internet Access and are available to host private functions for special occasions, weddings, christenings, funeral wakes or business seminars. Our function room incorporates large drop down screen and projector for powerpoint or similar presentations. Outside, the beer garden is beautiful and blooming with a full enclosed play area for children.